on board the Pride of Sefton 2 with the Mayor of Maghull (and Josh her consort), Peter Gill the chair of Aintree Parish Council (and his wife) and Bill Esterson. 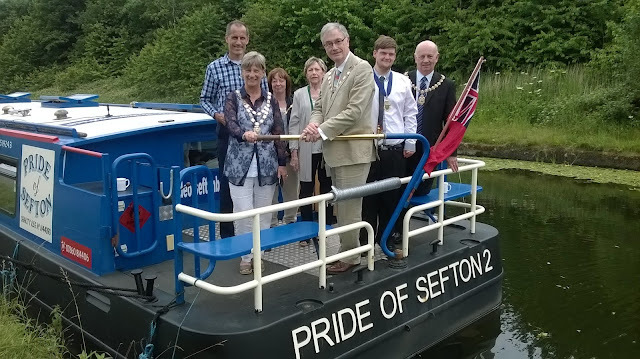 As the clouds darkened over Melling I set sail on the Pride of Sefton at the head of a flotilla of narrow boats making their way into the Canal Fest in Maghull. The Canal tow paths and bridges on our way were lined with people joining in the celebrations for the 200th anniversary of the Leeds Liverpool canal. 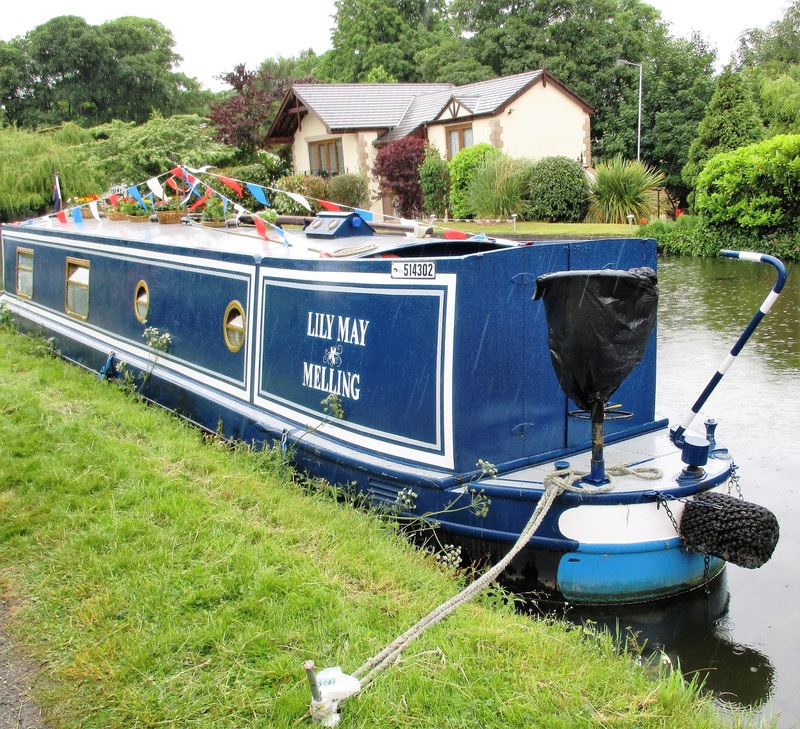 Our destination was the Canal Fest being held at the Maghull Cricket ground. It is hard to grasp just how important the canals were to the growth of industrial Britain. 200 years ago the new canal had a transformative impact of the North of England. It would be good if we could have a modern day equivalent-say HS3? and which I have posted about separately.